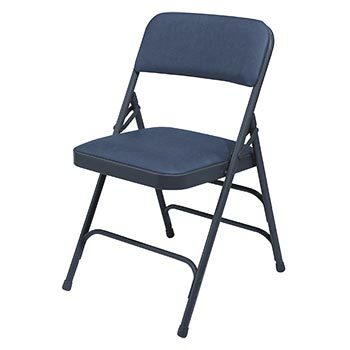 Folding chairs are perhaps the most versatile piece of furniture you can buy for your home or office. Folding chairs make it possible to provide extra seating for guests without sacrificing valuable floor space. 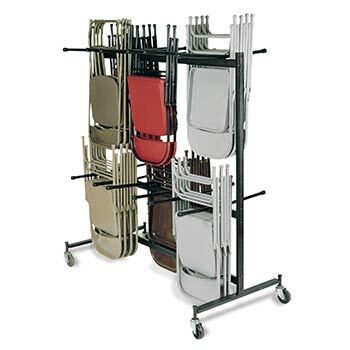 Folding chairs quickly collapse for easy storage and with our wide variety of folding chair storage dollies you can simply cart them away. Folding chairs have been around for centuries, and are believed to have originally been used for Egyptian kings. 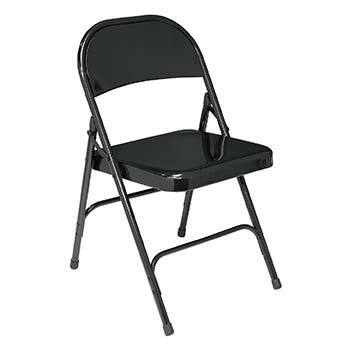 However, the folding chair quickly evolved into something that all classes of people could use, and today folding chairs are a home or office addition that virtually everyone can afford. The folding chair is for sale in a wide range of styles and materials, for use indoors or outdoors, and is now commonly found in the office, kitchen, dining room, living room, bedroom, bathroom, garage, on the patio, near the pool, and of course is used for large events such as weddings, graduations, conventions, and other areas in the hospitality industry. 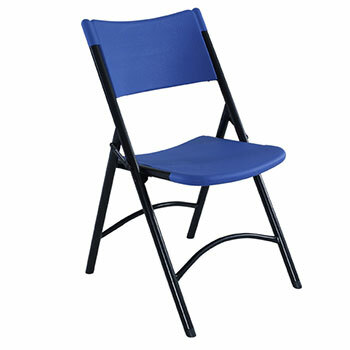 Folding chairs and tables are also widely used by churches, schools, convention centers, legion halls, and member clubs. Matched with a folding table, your arsenal of folding furniture is complete. Folding tables provide temporary work and dining areas and and they also fold up for permanent storage. 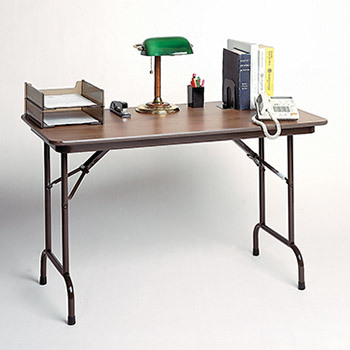 Our selection of folding tables includes both wood folding tables and blow-molded plastic folding tables at prices that can't be beat. 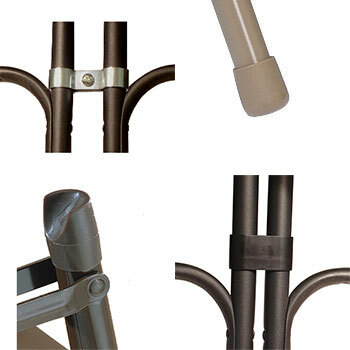 At Folding Chair Depot, it is our goal to provide you with a wide selection of folding chairs and tables at prices that won't break your budget. We make it simple to buy folding chairs and tables. And with our instant volume discounts, tax-free guarantee, and hassle-free return policy you certainly can't go wrong. We have folding chairs and tables for sale for every application and budget. Signup to receive exclusive offers via email.